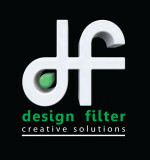 Business Overview: Design Filter is a Brisbane based consultancy service specialising in 3D Design and Product Design. Design Filter is a Brisbane based consultancy service specialising in 3D Design and Product Design. They offer contracting design services or one off project design and development – refining your innovative ideas and bringing them to LIFE!! !